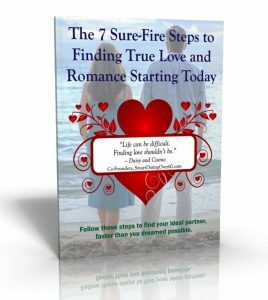 Mature dating advice to find true love after 60, from a woman's and a man's perspective. The desire to have romance and true love in your life when you’re over 60 may compel you to leap into dating when you’re really not ready. You may have lost a loved one in the recent past. You may still be suffering from the break-up of a serious relationship. Or, you may not have done any of the critical initial introspective work . . . without which you’re doomed to move from one failed relationship to another. Whatever the situation you’re in now that finds you single, if your goal is finding true and abiding love, I urge you to think twice before you leap into another relationship, or even consider seriously dating. 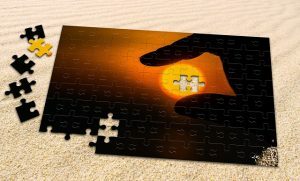 First, take the time to look closely at yourself and fix anything that may hold you back. 1. You have addiction and/or substance abuse issues. Don’t even bother looking at the other 4 reasons below if this first one describes you. If you think you may be an alcoholic or addicted to other substances, you probably DO have a problem. Think about what happens when you go into a relationship carrying the weight of alcoholism or other substance abuse. They used to refer to addiction as “having a monkey on your back”, because it’s a burden you always carry with you. Having an addiction – no matter what the substance – is an all-consuming activity. You put a lot of thought and time into purchasing and imbibing, to keep the addiction going. All that time and thought invested in your addiction diminishes your ability to build a healthy relationship. Addiction severely impacts your capability to be a loving partner. This diminished capacity to love, of course, applies to prescription drugs, just as much as it does to alcohol or other hard-core, illegal drugs like heroin. I have a dear friend who fell in love a few years ago with a wonderful man. She wisely asked him early on if he used any drugs. He answered “No”. The first year was great. Some time after that he admitted he was taking two highly addictive prescription drugs, and was having a problem with them. When she reminded him that he had initially denied taking any drugs, he said he didn’t think prescription drugs counted. He recently told her he was addicted to these two drugs and went into rehab. As of this writing, the relationship is unraveling. 2. You’re not being honest about who you really are. Dating over 60 should be fortified by the experience and maturity we’ve gained over the years. We should understand ourselves and our needs better now, than when we were younger. We should be more driven now by wisdom, than by desire and impulses. We should be comfortable and accepting of who we are now, and want to be with someone who is just as comfortable and accepting of us as we are. Unfortunately, just because we’re over 60 and should be wiser, we may not always be so. Before diving into dating seriously, take the time to drill down on who you are and what’s important to you for this next part in your life. 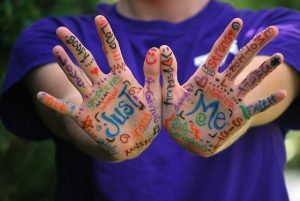 Tips to know yourself better in my article Smart Dating Essentials – 7 Steps To Know Yourself Better. 3. You haven’t carefully considered who your ideal partner is. I look back at the mistakes I made when I first started dating. I was willing to compromise too much, and accept things about the men I was dating that I knew, even then, I would have trouble with in the long run. Luckily, I learned from my mistakes and faltered less and less, as I gained dating experience. And, once I realized I was making these mistakes, I knew enough to go back to my initial pre-dating introspective work. I looked at my needs and dealbreakers – the most critical things I had to have in a life partner . . . and the things that were most unacceptable. When you think about it, how can you be successful at dating if you’re not crystal clear on who you’re looking for? I don’t mean superficial attributes like tall, dark and handsome. I mean the character traits that are most important to you. “Profound loving relationships are those involving harmonious relationships in which both partners feel that they are personally flourishing within the relationship. Each of them is involved in personal intrinsic activities and they perceive most of their activities together as intrinsic activities. Functional harmony is determined by the suitability of each partner to the other, and not by whether their isolated qualities are the best in town. In such cases, romantic compromises are eliminated, or at least considerably reduced. A good way to start this process is to write down the character traits of past partners that made the relationship work . . . and those that damaged the relationship. More details in my post, Who Is My Ideal Partner? 4. You’re not truly willing (or able) to let love in. If your past relationships have all been problematic, you may have no idea what a healthy relationship feels like. You may never have experienced true love. You may not know that it’s worth taking risks with your heart and exposing the real you, to get to that good place with someone special. In my opinion, and through my dating experience, I’ve found that some people are simply not capable of truly loving and letting love in. If they’ve been too deeply hurt by a past partner, being vulnerable would not come easy, and being vulnerable is a necessity. If they’re clinically narcissistic, they’re simply not capable of loving anyone . . . including themselves. You’re not looking for perfection, because you know it doesn’t exist. We all have our flaws. You’re fully prepared to accept your partner’s flaws, as long as they are minor, knowing that they are accepting of yours. You’re happy enough living your single life, but having a solid relationship with a significant other would be great. You’re prepared to put effort into a relationship, and focus on doing what you can to make each day a happy one for your partner. You’re comfortable and willing to communicate with your partner about emotions and things that are important to both you and your partner. You’ve gotten over your ex, or have grieved and healed after the death of your spouse or partner. You won’t carry the bad stuff into a new relationship. You’re excited about building a life with someone special and growing very old with them. 5. You’re willing to settle, just to have someone in your life. You don’t think true love exists. Let’s say you meet someone you really like. You’re not head-over-heels for them, but you enjoy their company and you share a few common interests. 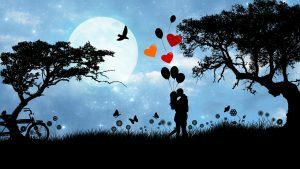 You feel that things are “good enough”, so you move forward with the relationship and you’re planning to take steps to make it more permanent – becoming intimate, moving in together, marriage or whatever it may be. Unless you truly don’t care about romance and true love, as time goes on, you’ll probably start feeling like something big is missing . . . and it probably won’t take very long for this to set in. Before you move things forward, take a good look at what you may be in for, in the long run. Going into dating when you’re desperate is not wise. You’ll make all kinds of poor decisions and probably let yourself get wrapped up in a relationship with someone who is not right for you. To buffer yourself against this happening, it’s best not to start dating until you’re happy enough with your single life, but you want a love partner to share it with. If settling is good enough for you, I wish you the best of luck with it. Things may work out fine. You may adapt, grow and thrive together. Even better, it may turn into a true-love relationship. 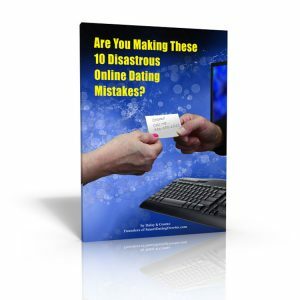 Are You Making These 10 Disastrous Online Dating Mistakes? And sign up for our weekly newsletter to get all our juicy articles on dating over 60 . . . as they’re published. 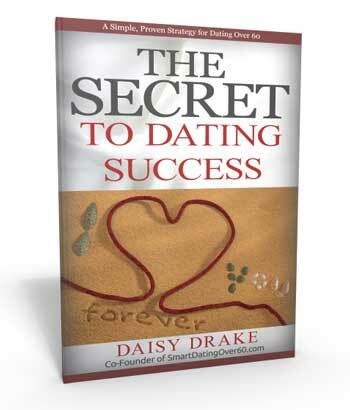 You’ll also receive another one of our ebooks for FREE, The Secret to Dating Success. You’ll see the sign-up in the sidebar to the right of this article. I wish you great success in the dating game! Are You Making These 10 Disastrous Online Dating Mistakes? Don't sabotage your chances to find love and romance. Our ebook will help you. Perils of Mature Dating: Is My Date Capable of True Emotional Intimacy? Is Introversion an Asset for a Mature Man Who is Dating Again? Don't miss a single article by Daisy and Cosmo. "The Secret to Mature Dating Success"
Who Is My Ideal Partner? Don't miss a single Smart Dating article by Daisy and Cosmo. Join our dating advice newsletter here ... plus, get a free copy of their latest ebook, "The Secret to Dating Success."